Feeling Lucky? 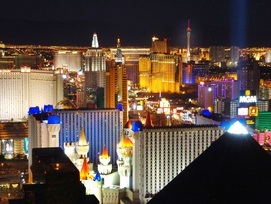 Give our Vegas League a try! 4 teams will win $2000 Cash! (based on 24 teams) Use it for a trip to Vegas, a cruise, or just some spending money. The first $2000 prize is awarded to the 1st Place team and the other three $2000 prizes are awarded to winners of a random drawing the last night of the league, so you can win even if you finish in last place! All teams win a cash prize! Test your bowling skills on the same challenging lane conditions as the pros on TV! Bowl on all of the PBA oil patterns such as the Cheetah, Scorpion, Chameleon, Viper, and Shark! Each week, the top 3 bowlers with Handicap qualify for a cash stepladder roll-off. A great way to improve your bowling game! The "Just For Fun" Summer Bowlers Club is perfect for new bowlers, those who don't want a competitive league atmosphere and for those who just want to have fun bowling with other people! All bowlers win a cash prize at end of season! It’s Ladies Night! Treat yourself to night out with friends! A great way to meet new people. Unique singles match play format! Bowl versus another youth bowler each week. Top 3 bowlers advance to Scholarhip Roll-Off. All youth bowlers win a scholarship. $20,000 awarded in past 5 years! Bowling is Fun in our Thursday Youth League! Kids have access to coaches, plus fun awards and incentive program. All participants get a trophy and season ending pizza party! 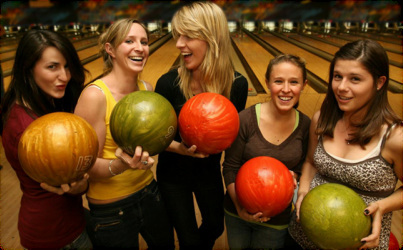 Tuesday Adult-Youth "Have a Ball"
Show everyone how your family rules the lanes in our fun Adult-Child bowling league! Plus, all bowlers get a brand new ball! Introduce your child to the fun of bowling in this special bumper club! Learn safety and basics, plus all bowlers get a trophy at the end of the season! Perfect for ages 4-7! 2 Games Per Week. A more competitive Adult-Child league for families who crave competition! All youth bowlers win a scholarship!